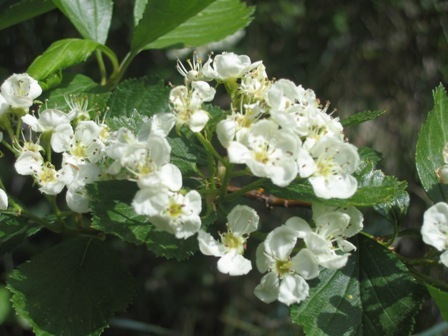 Hawthorne is a thorny growing mostly in hedgerows and fields in the temperate regions of Europe and the British Isles. Its name originates from the Greek word kratos meaning strength and refers to the nature of the wood. 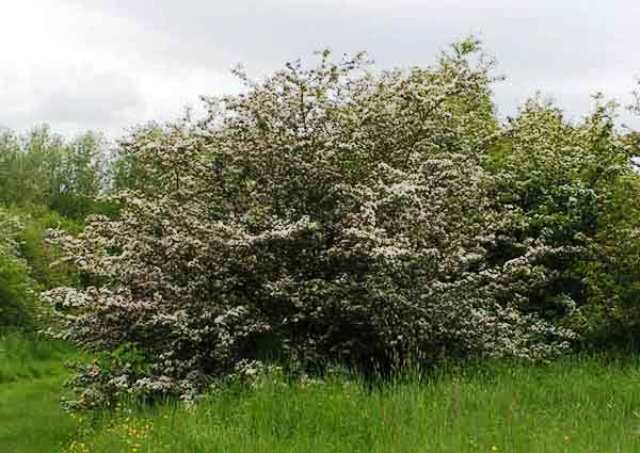 A large shrub or small shrub growing upto 10 m, deciduous; branches having 2.5 to 12 cm long strong thorns, bark is often white to ash grey bark which is the basis of the name “white thorn”. Leaves shiny, dark green from above and light bluish green ventrally, having three irregularly toothed lobes. Flowers white or pale pink, showy, growing in terminal corymbs, sepals 5, petals 5, rounded; stamens slender with bright pink heads bisexual and typically fragrant. Fruit is usually red may also be black; fruits resembling rose hips or tiny apples, 12.5 mm long, 8.8 mm wide, weighing 466 g each, pulp yellow. The fruits are edible. These are not particularly tasty, nor do they taste unpleasant. They have a fresh fruity mealy taste. They make a good healthy addition to a hedgerow jam. Edible portion, 62 g; moisture, 79.6%, total soluble solids, 13.6%; acids, 0.53; sugars 1.39% and pectin, 1.6%. The berries are used as a topping in puddings. These are also used for making a liqueur made in Brandy in some European countries. In former days when Chinese, Indian and Ceylon tea were expensive luxuries young hawthorne leaves were sometimes used as an ‘adulterant’ for tea. The flowers are also edible, sprinkled on fruit salads, junkets and custards. Hawthorne fruits are believed to have many useful medicinal properties and these used in several herbal medicinal preparations. 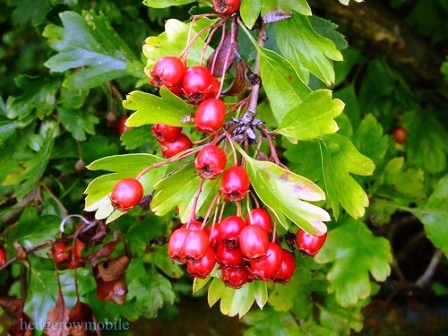 Hawthorne has been used as a hedgeplant since ancient times. Young plants grow fast and producing many thorny branches making an excellent protective hedge. It is a very hardy plant and does not require any special cultivation techniques.